Dr. Vince Vitale is a speaker and author who serves as RZIM’s Regional Director for the Americas and Director of the Zacharias Institute. He was educated at Princeton University and the University of Oxford, and he taught philosophy of religion and served as a faculty member at both of these universities. It was during his undergraduate studies in philosophy at Princeton that Vince was challenged to read the Bible and took an unexpected journey from skeptic to evangelist. He then completed masters and PhD studies at Oxford, receiving a Daniel M. Sachs Graduating Scholarship (awarded annually to one graduating Princetonian) and a Clarendon Scholarship (supported by Oxford University Press). While researching at Oxford, Vince developed a new response to the problem of evil. This response is discussed in Vince’s Philosophia Christi article, “Non-Identity Theodicy,” and in Vince and Ravi Zacharias’s book, Why Suffering? 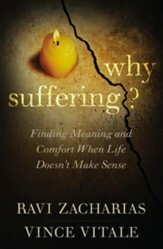 : Finding Meaning and Comfort When Life Doesn’t Make Sense. 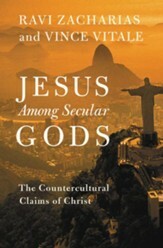 In 2017, Vince and Ravi released a second co-authored book, Jesus Among Secular Gods: The Countercultural Claims of Christ. For his work on Søren Kierkegaard, Inter-Varsity Press and Tyndale House awarded Vince the title IVP Young Philosopher of Religion of the Year 2013. Vince has commended the Christian faith on the campuses of many universities, including Yale, Columbia, UC Berkeley, West Point, Johns Hopkins, Princeton, and Oxford. He has also recently had the privilege of speaking at Google Headquarters, Brooklyn Tabernacle, and Passion City Church. 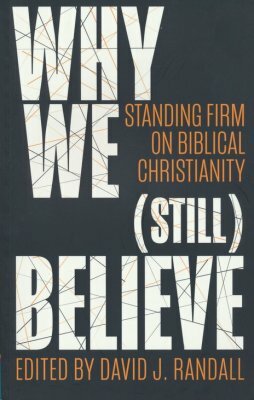 In addition to his focus on biblical and philosophical questions, Vince has strong interests in the topics of leadership, theology of work, and reconciliation, as well as in the intersection of faith and sport. He played varsity soccer at Princeton, was a “double Blue” at Oxford (competing for the university in soccer and boxing), and has traveled with Athletes in Action mission teams to four continents. While teaching at Princeton, Vince served as Faculty Director of the Athletes in Action ministry on campus. Vince is married to Dr. Jo Vitale, who is the Dean of Studies of the Zacharias Institute, and Vince and Jo are overjoyed to be new parents to their son, Raphael. "Some think the problem of suffering should push us away from God. For me, it’s precisely because I feel the problem of suffering so severely that I am led to trust a God who can do something about it." Vince Vitale will be speaking at Calvary Chapel Las Vegas as part of their Summer BBQ Series. Vince Vitale will be speaking at Camp of the Woods during the week of July 21-25, 2019.